With Jesus beside us we love, learn and grow together. Each year we have pupil chaplains who work alongside our Parish Priest, pupils and Staff to assist in the growth of the church within our school. We are always enormously proud of all they do and it is wonderful to see them grow on their Christian journey. Our current Chaplains have recently attended a training course finishing with a Commisioning Service at Salford Cathedral. 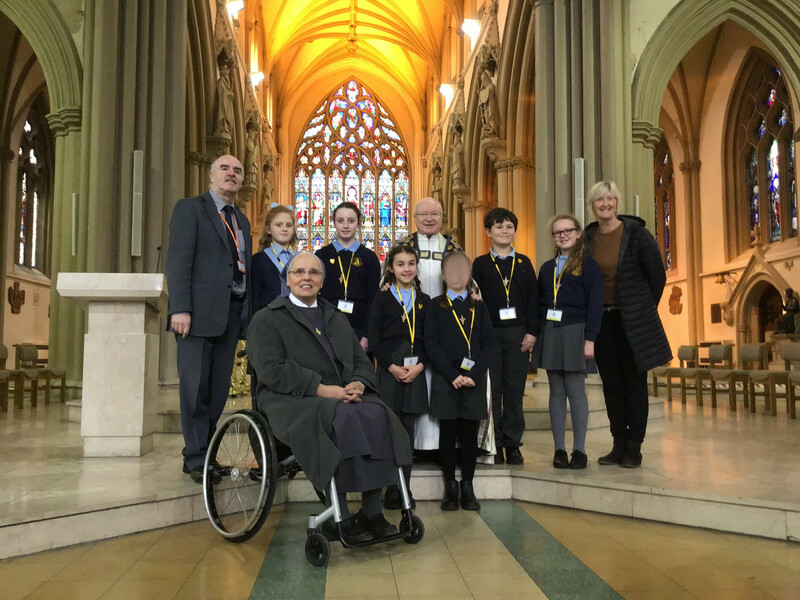 It was a beautiful day and Mr Mulrooney and Mrs Robinson were most impressed by our Pupil Chaplains, they were a credit to the school and we are certain they will do great things in their role. We were very grateful to our Chair of Governors, Michael Mulrooney who came up with this idea and liaised with our Knit and Natter group to see it to fruition. 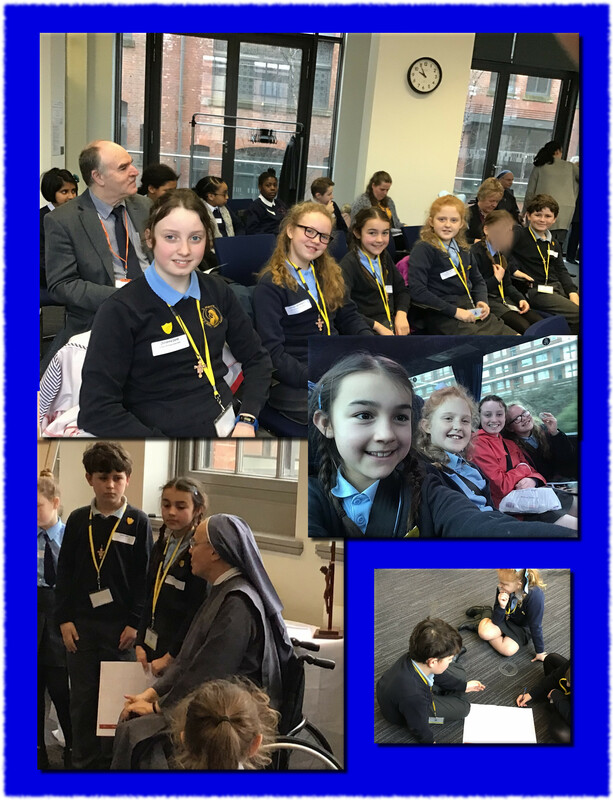 On Monday 29th January 2018 our previous Pupil Chaplains met with the group for drinks and biscuits and to receive the finished bags. The chaplains are currently getting the bags ready, filling them with things to help families think about Lent. Once ready, there will be one bag for each class and each night a different pupil will take it home. At St Mary’s we attend Mass regularly. Some services are for the whole school whilst others are for single classes only. Please click on the form for a full overview of Mass for the coming year. 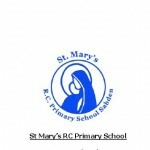 Each year our Year 3 children follow the Sac Prog as part of their development within the Catholic Faith (older children who have not taken the Sacramental Programme can also join – please ask). The dates for this year’s programme will be published soon. At St Mary’s we are pleased to work closely with our sister schools, St Michael and St John’s (Clitheroe) and Thorneyholme. As part of our work together we produce a termly newsletter. RE Scheme Looking at love and preparing for Advent and the birth of Jesus. Parish Schools' Mass The three schools of the Parish of Our Lady of the Valley came together to celebrate the new school year. Last year we decorated our school hall for Christmas with a religious theme - celebrating the true meaning of Christmas in all its glory.